Seeking to communicate the pride, history, and purpose of the U.S. Marine Corps to a younger audience is no small task, but U.S. Marine Maj. David Dixon and Army veteran Phil Jones have done so with punch, grace, and humor. 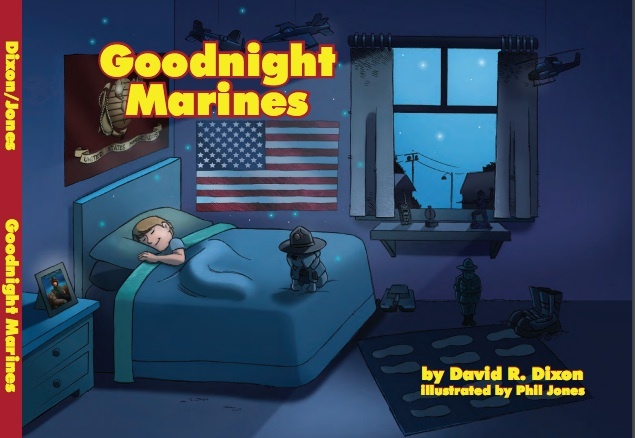 Riffing on the form and tone of childhood classic "Goodnight Moon," by Margaret Wise Brown, "Goodnight Marines" is full of saturated colors and peaceful images, delivered at a steady cadence. Goodnight Tuffy Hound on the end of my bed. Goodnight Tripoli, Belleau Wood and Saipan. Goodnight to my Dad in Afghanistan. 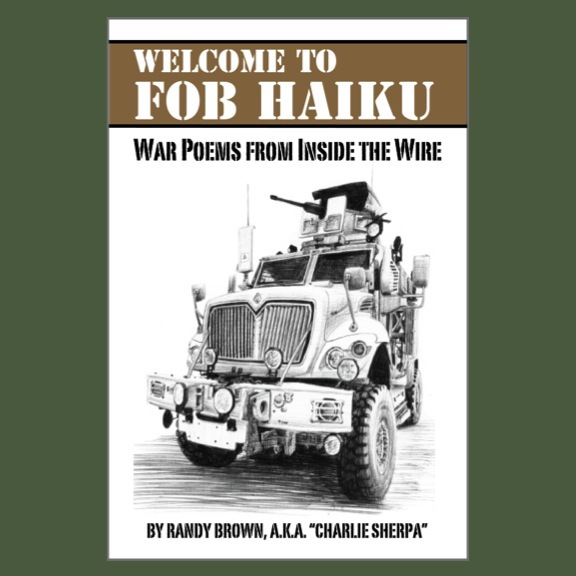 Iraq War veteran Dixon, an AH-1W "SuperCobra" pilot, was the 2014 recipient of the Marine Corps Heritage Foundation's Robert A. Gannon Award for "Call in the Air," an accessible and often humorous book of military-themed poetry, aimed at adults. Jones, a former artist for The Walt Disney Co., served in Operation Desert Storm with the 160th Special Operations Aviation Regiment. In words and visuals, Dixon and Jones leave no corner of Marine life unexplored. (I particularly enjoyed the "two yellow feet" area rug in the storybook room, which evoke the painted pavement just off the bus at Parris Island.) The book's design also demonstrates laudable attention-to-detail. 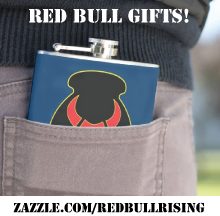 Take, for example, the near-midnight-blue of the book's cover, which is punctuated by a red spine reminiscent of "blood stripe" on an enlisted Marine's dress trousers. Many ranks and military jobs are mentioned, in order to depict the wide range of experiences for Marine moms and dads. 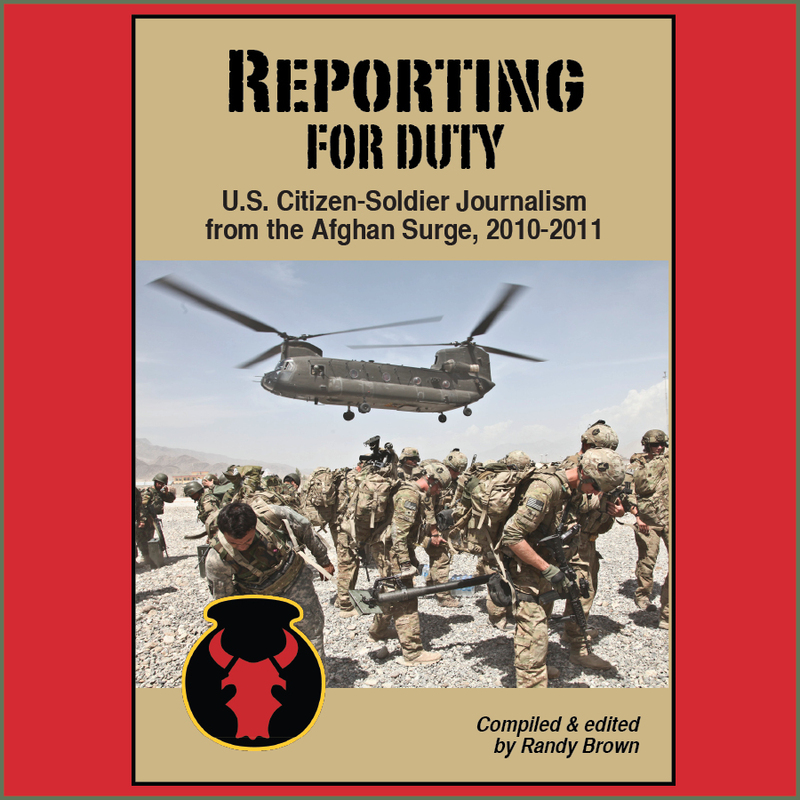 The 34-page book features three pages of glossary terms, potentially helpful to non-Marine parents and babysitters. While plain-spoken, the expository language is rich with historical tidbits. Unfortunately, this young boy cannot yet pronounce such a difficult German word, so he has named his friend "Tuffy Hound." Tuffy was given to the child by his dad before deploying to Afghanistan. Just like the father guards his combat outpost, Tuffy provides the child with warmth and security, watching over the room as the child sleeps. Tuffy is a Staff Sergeant and wears the Smokey Bear cover of a Marine Drill Instructor, symbolizing the mentorship, guidance, and (albeit sometimes tough) love that DI's show as they become parental figures to recruits during Boot Camp. Available in hardcover and on Kindle.